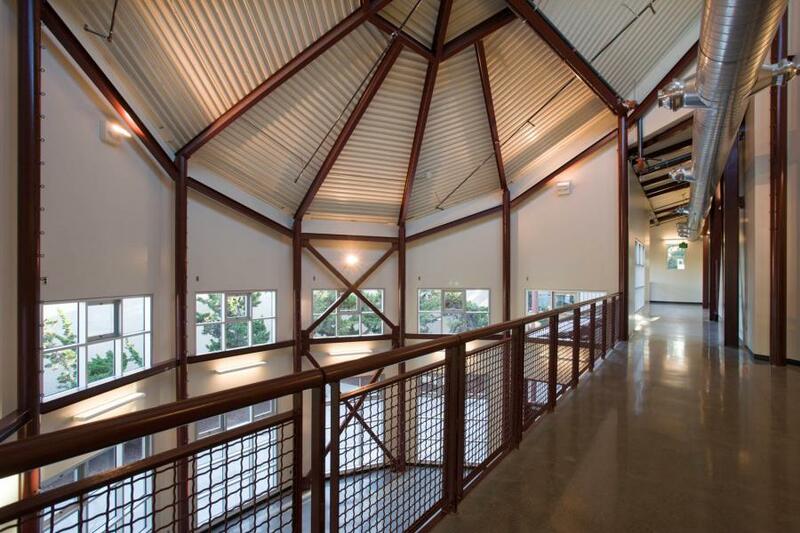 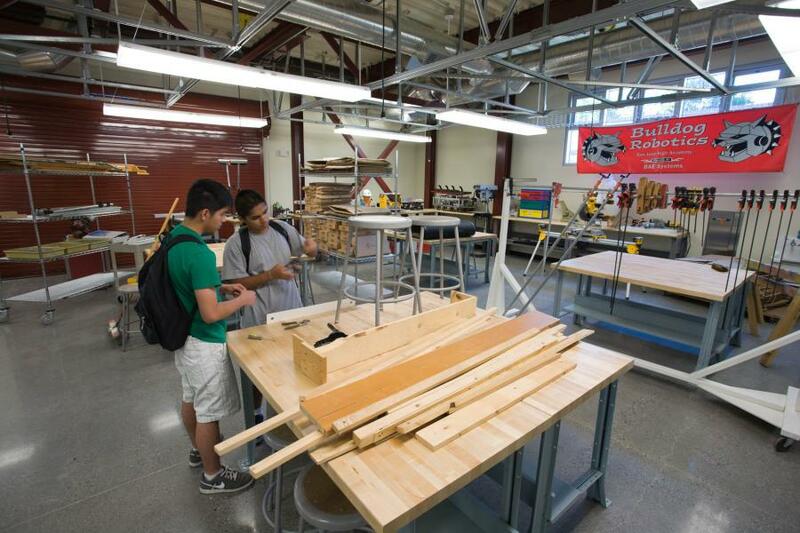 The new 13,000sf Career Technology Education (CTE) building showcases an open, industrial character, that encourages exploration, collaboration, and risk-taking. The building’s organization is dominated by the three-story cylindrical exhibition lobby, which connects the five classrooms and one engineering lab on two levels, and opens through a series of doors to a small courtyard, allowing exhibitions and activities to flow outdoors. 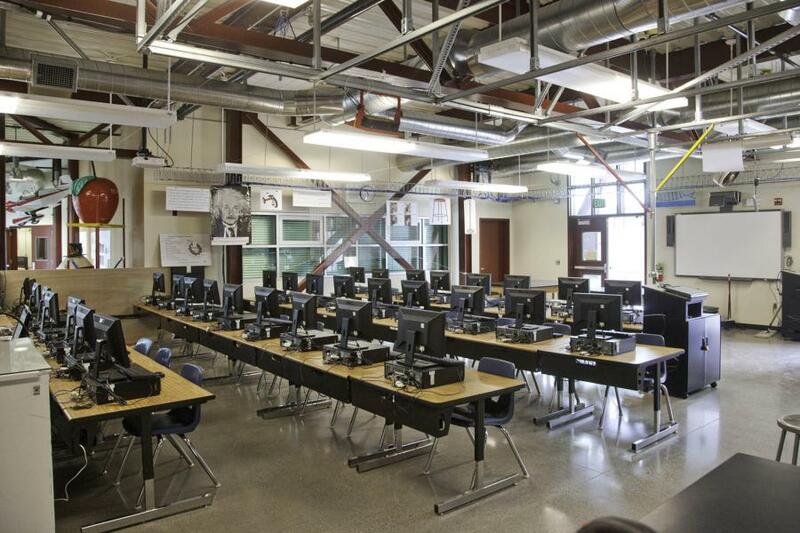 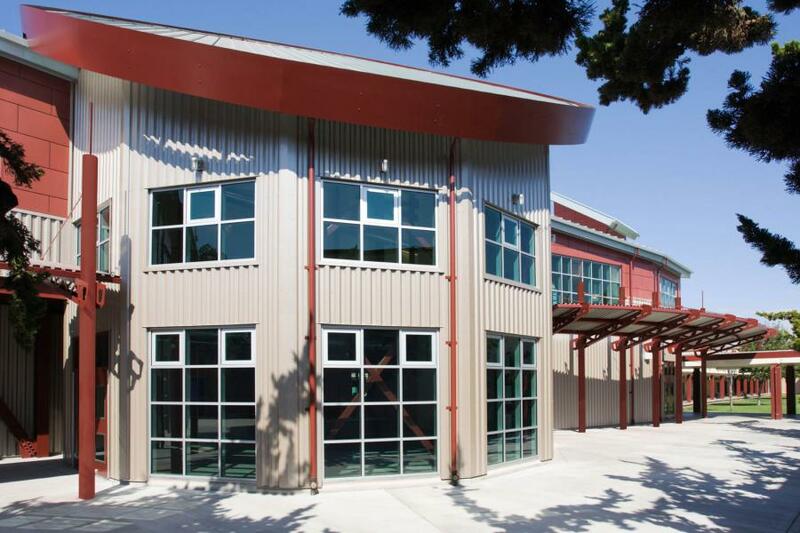 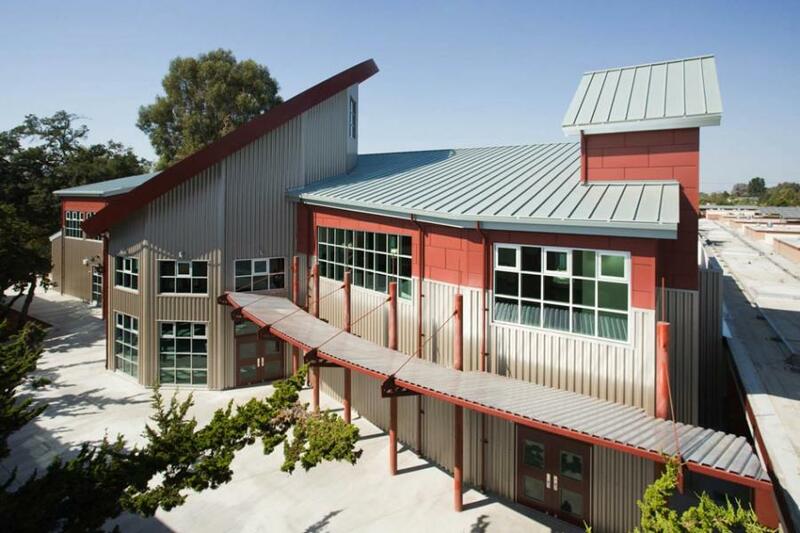 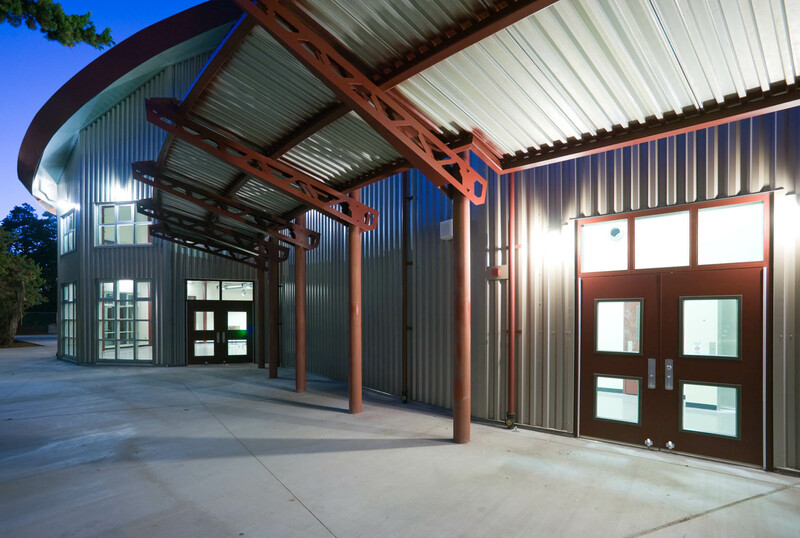 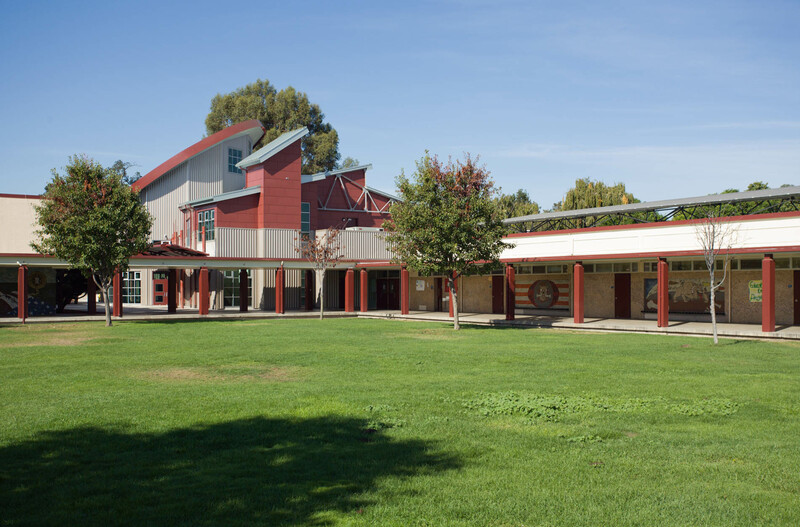 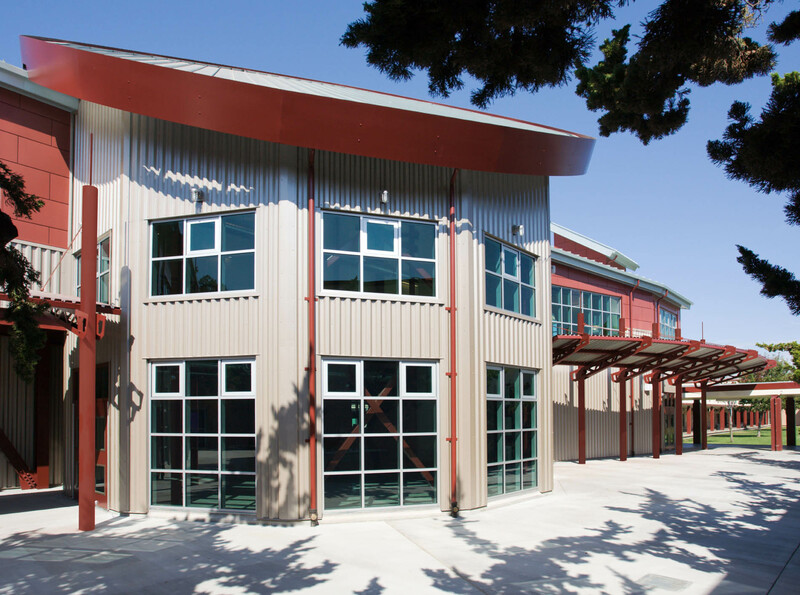 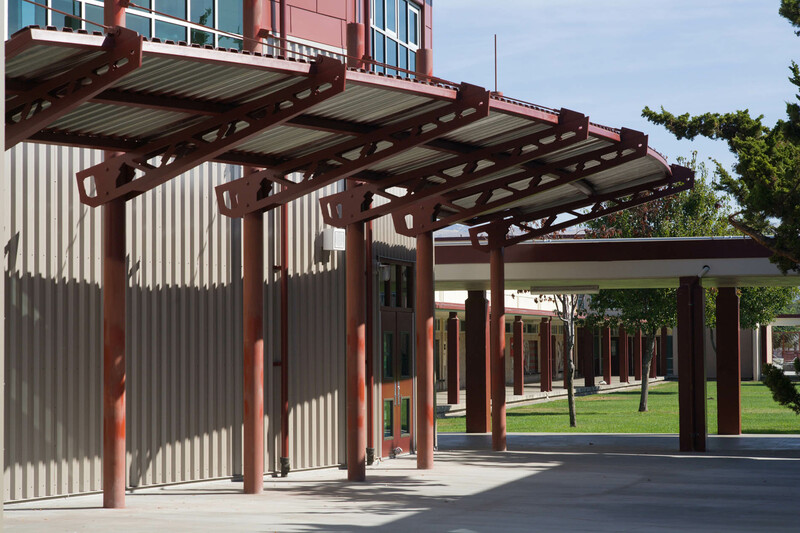 San Jose High School’s CTE Building was constructed to implement the curriculum of Project Lead the Way.